Individually Sealed for Use Anytime! Primadophilus Reuteri Pearls help fortify the intestinal tract with a unique combination of active Lactobacillus and Bifidobacterium cultures. 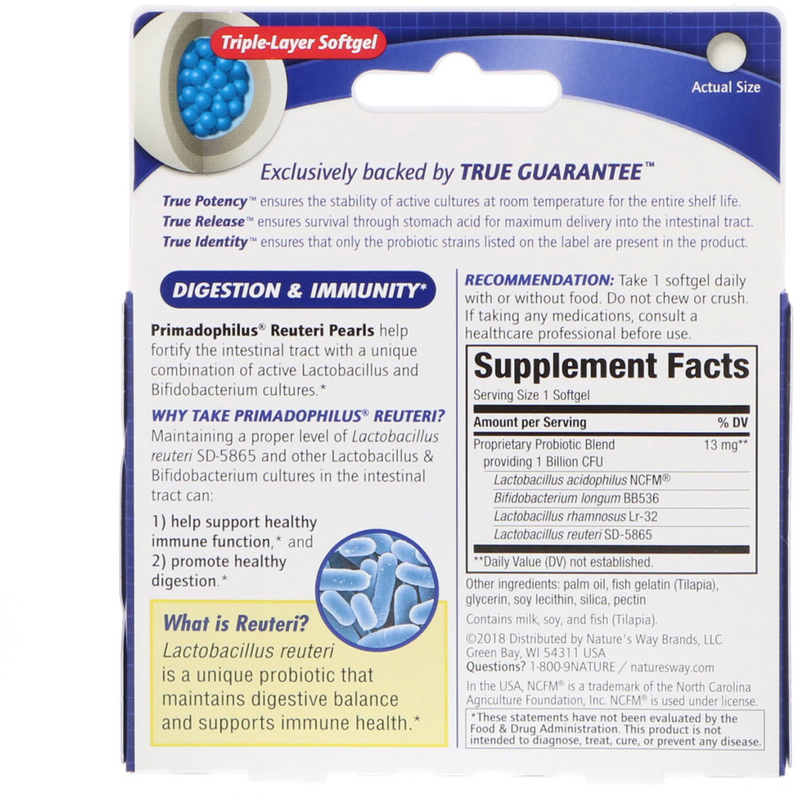 Lactobacillus reuteri is a unique probiotic that maintains digestive balance and supports immune health. Recommendation: Take 1 softgel daily with or without food. Do not chew or crush. Palm oil, fish gelatin (tilapia), glycerin, soy lecithin, silica, pectin. Contains milk, soy, and fish (tilapia). Keep out of reach of children. Freshness & safety sealed for your protection. Each capsule is enclosed in an individually sealed blister. Do not use if any seal is broken, punctured or missing. Store in a cool, dry place.